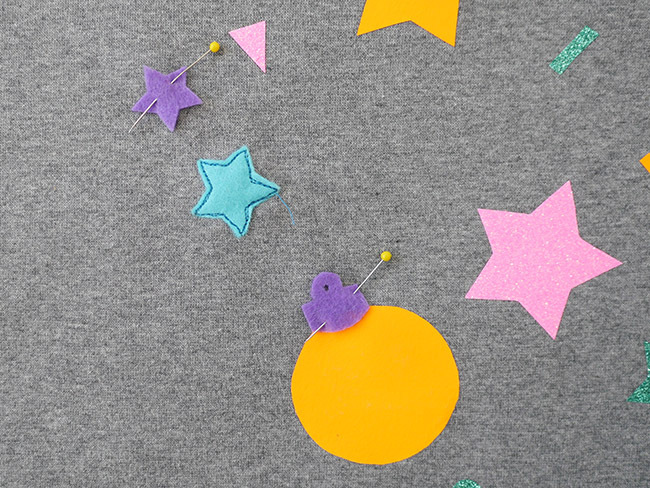 Want a fun and festive way to decorate an old sweater or one you've made yourself? 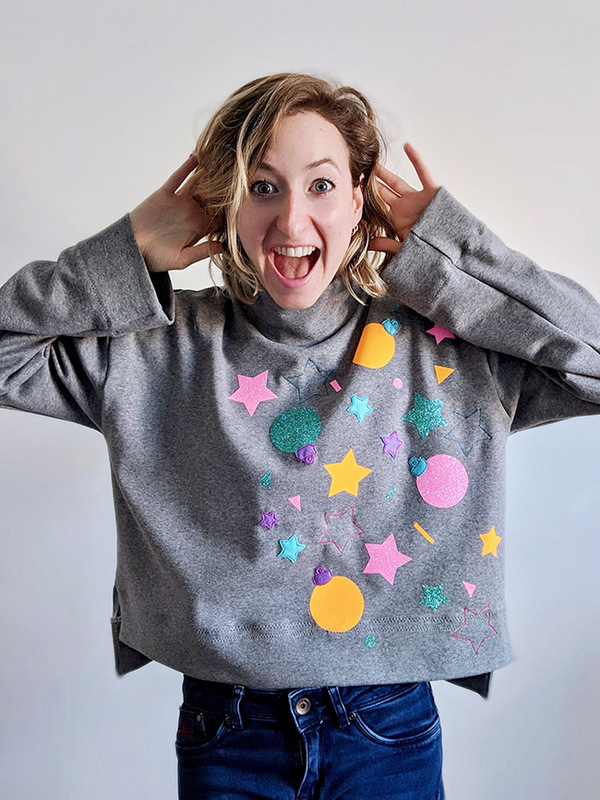 You might have seen our Sew an Xmas Sweater Contest, where we are challenging you to stitch and embellish one of our patterns to win some fantastic prizes (closing Dec 9). 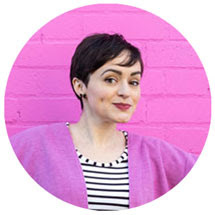 Sophia Palmer, of Sew Jessalli, is a pro at embellishing and a wonderful judge in our contest, so we just had to ask her to share her skills with us. 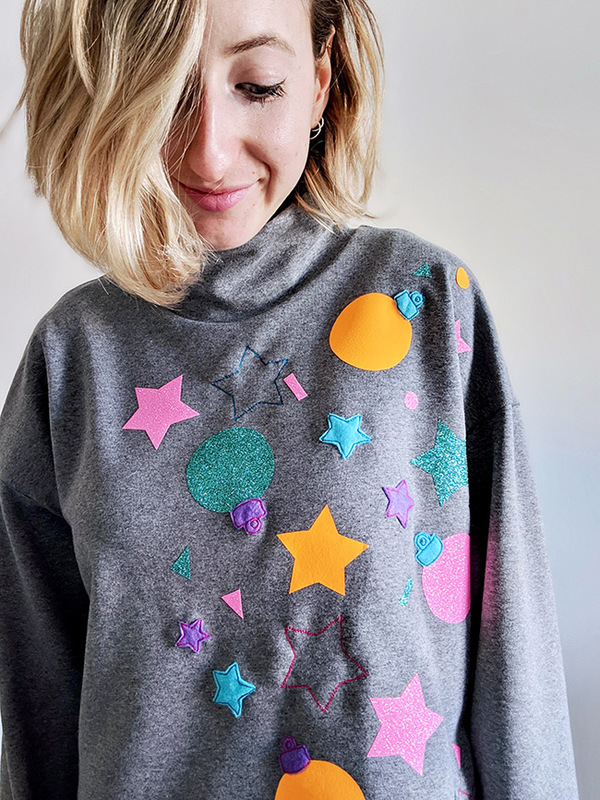 Sophia creates and sells the most gorgeous personalised gifts (perfect for xmas pressies) and teaches sewing workshops from her studio in Dorset - we are particularly taken with the 'Revamp Your Sweater' workshop. Before you get stuck in, you might want to cut a few scraps of your vinyl and test them on your chosen fabric to make sure it works and you’re happy with the effect. Make up your Nora Top as normal until you have shoulder seams joined and the neck band in place. 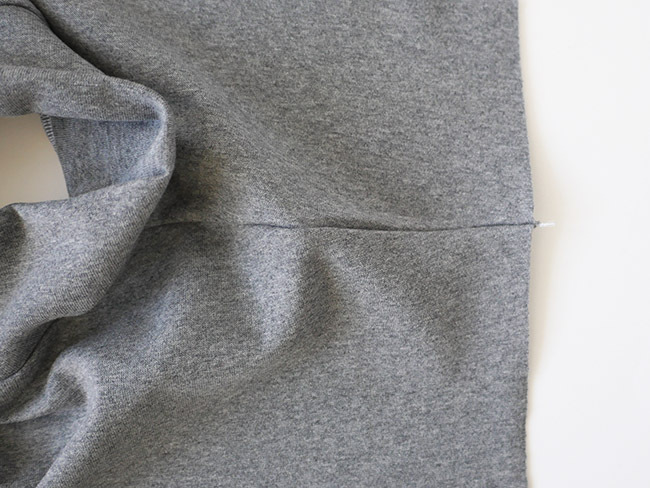 It is easier to add your design to your top before you put in the sleeves, as it will lay flat. Now it's time to create the design! 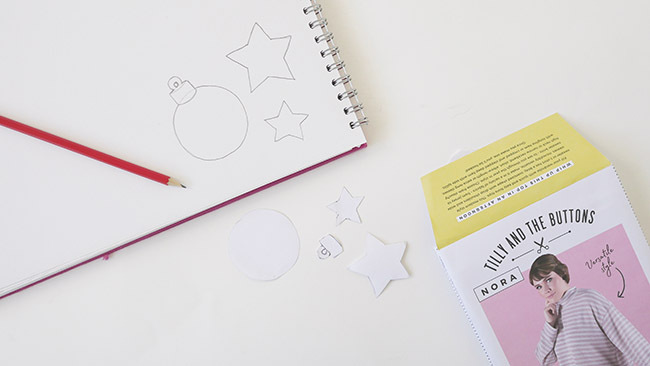 Draw out some baubles, stars and confetti shapes - or whatever design you like - onto paper and separately draw the bauble hanger end. Cut them out to use as templates. 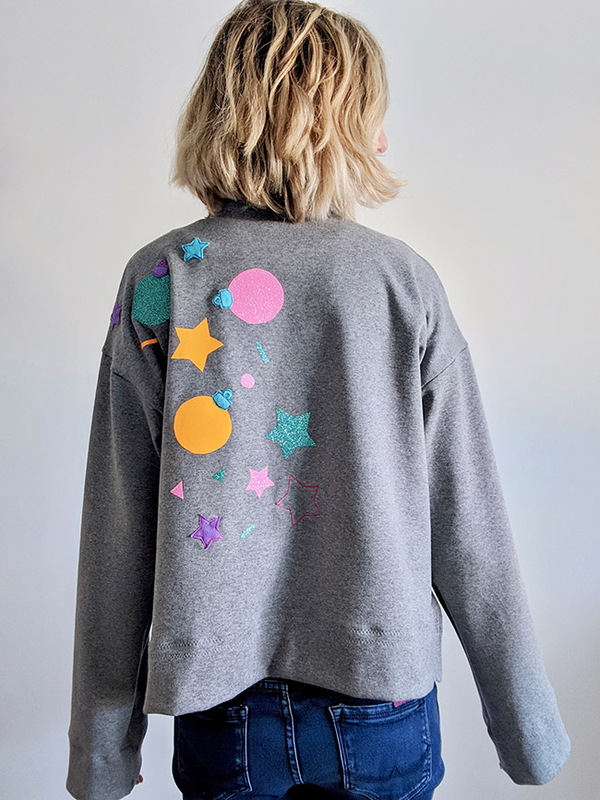 Next, take your templates and draw around them onto the back of your iron on vinyl. This should be the white or matt side. Cut them all out carefully. I used tiny scissors to cut out the smaller shapes. 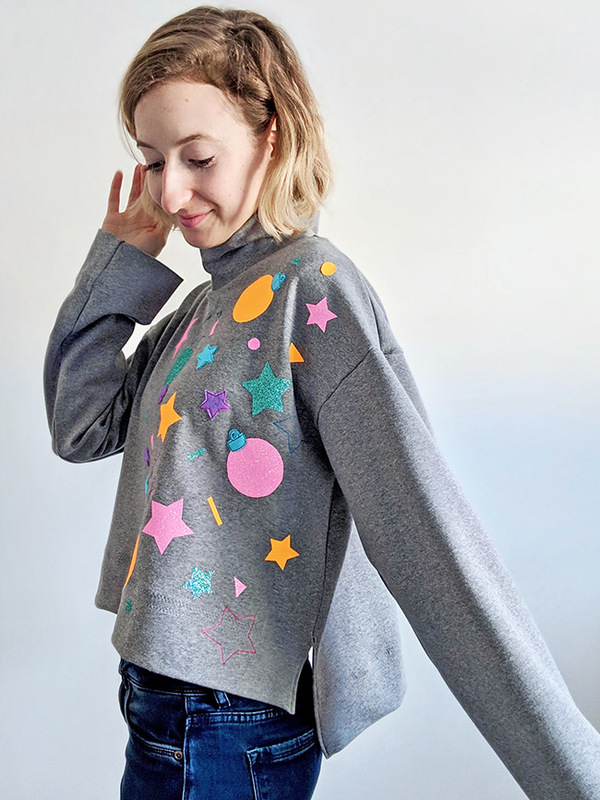 Next, arrange your shapes onto the front of your Nora jumper. Once you’re happy, take a picture of it for reference. Get your iron and carefully arrange the shapes into place. One by one, cover with greaseproof paper and press according to the instructions (mine was for 10 seconds). Peel off the plastic film on the tops whilst still warm. 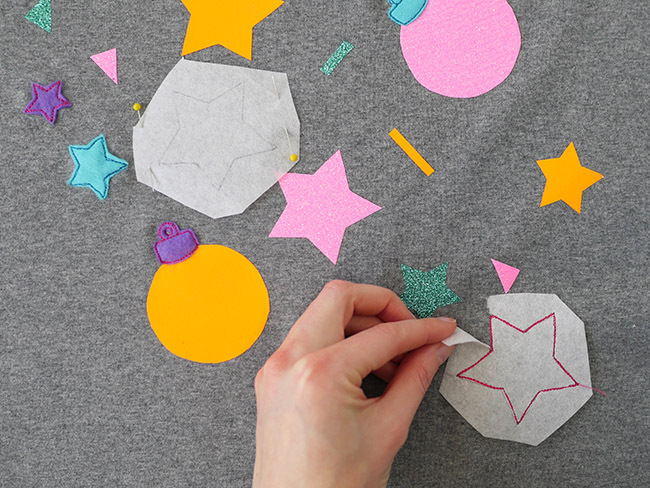 To create the felt stars and bauble tops, use the templates again and draw the outline onto felt. Pin in place. Attach a free motion embroidery foot to your sewing machine. Put your feed dogs down - this will allow you to move the fabric around freely under the needle. 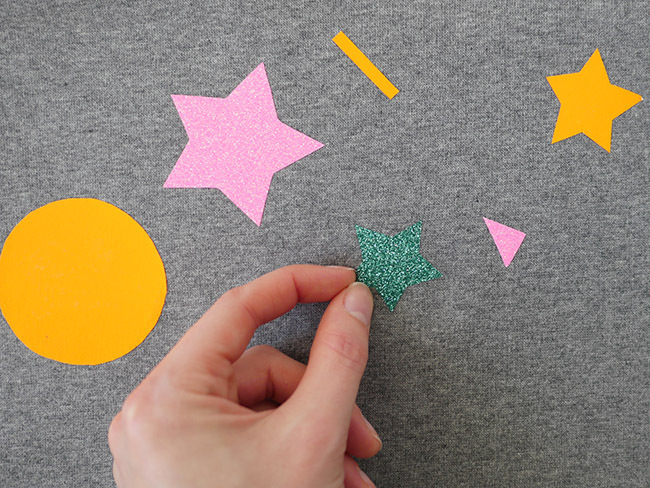 Use coloured thread to sew around your felt shapes near the outer edges to hold them in place. It’s important to note that the stitching won't be able to stretch - so don’t place large shapes around the bust or on the neckband. Small pieces are better. 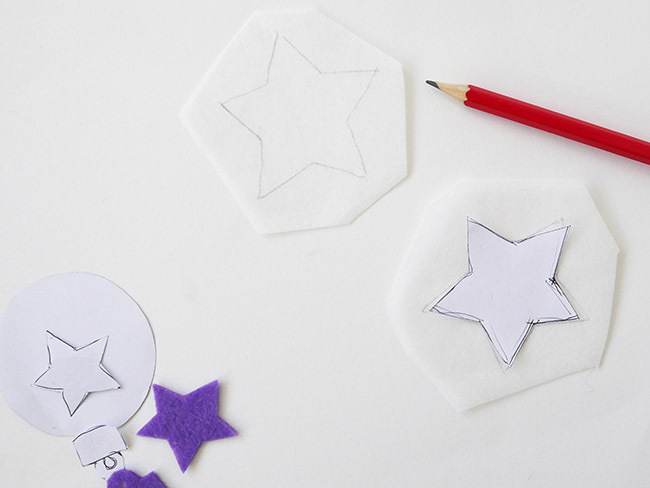 Lastly trace your large star shapes onto embroidery paper and loosely cut these out. Pin in place. 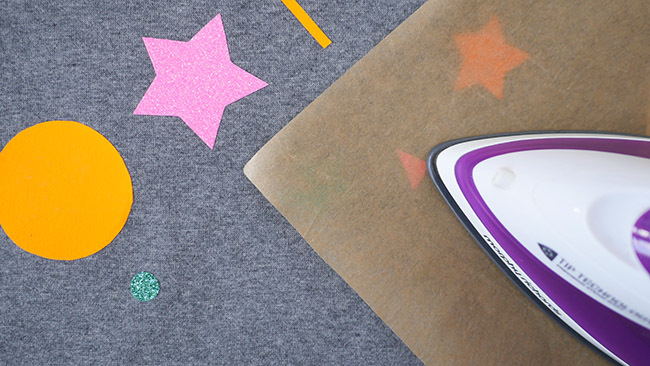 Use free motion embroidery and coloured thread to make outlines of your shapes. Then rip away the paper. Once you’re happy with your vinyl and machine embroidery, make up the rest of the Nora as usual. 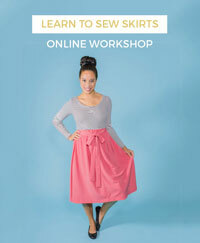 Thanks to the lovely Sophia of Sew Jessalli for sharing this brilliant tutorial! Are you tempted to have a go yourself? 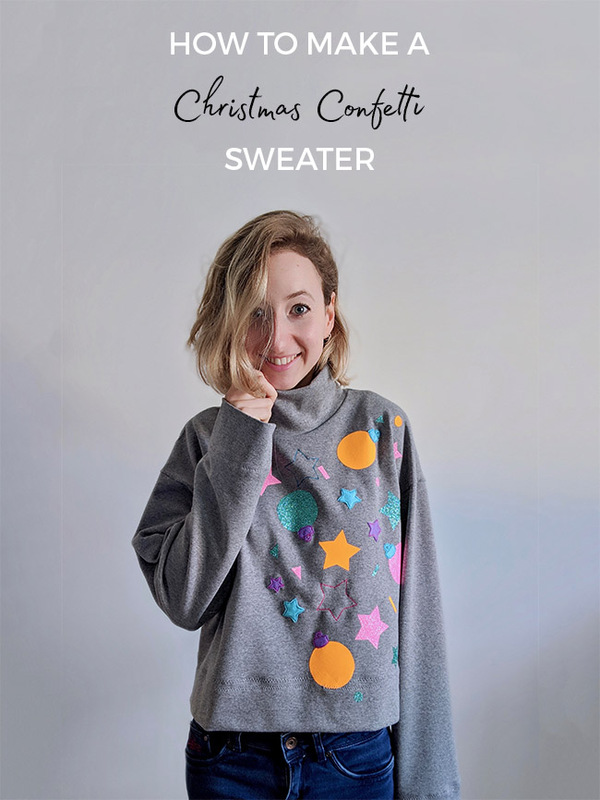 If you make your own festive sweater, please share it with us on Instagram @TillyButtons with the hashtag #sewingxmassweater.